UPDATE 5/22/2018 - You can find a thorough breakdown and takeaways from the Minisymposium on reproducibility in this blog post. Many individual PIs, funders, publishers, and companies are working to make research results more reproducible and they have come up with many creative tools and techniques to do so. These include best lab practices enforced by responsible PIs, electronic notebooks, reagent sharing and storage in repositories, public sharing of code, and much more. 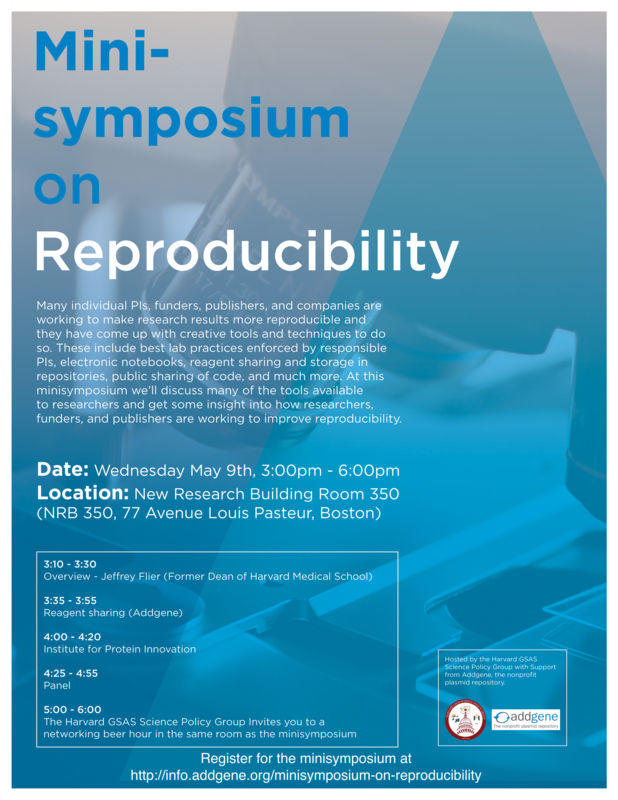 At this minisymposium we’ll discuss many of the tools available to researchers and get some insight into how researchers, funders, and publishers are working to improve reproducibility.